Pangi lies within the Kinabatangan floodplain, one of Malaysia’s most beautiful wetlands, home to important populations of highly threatened species, such as Bornean Orang-utan and Pygmy Elephant. Almost all the areas surrounding official reserves/protected areas have been cleared; when properties go on the market there is a race between conservationists and oil palm plantations, which is usually won by the highest bidder. 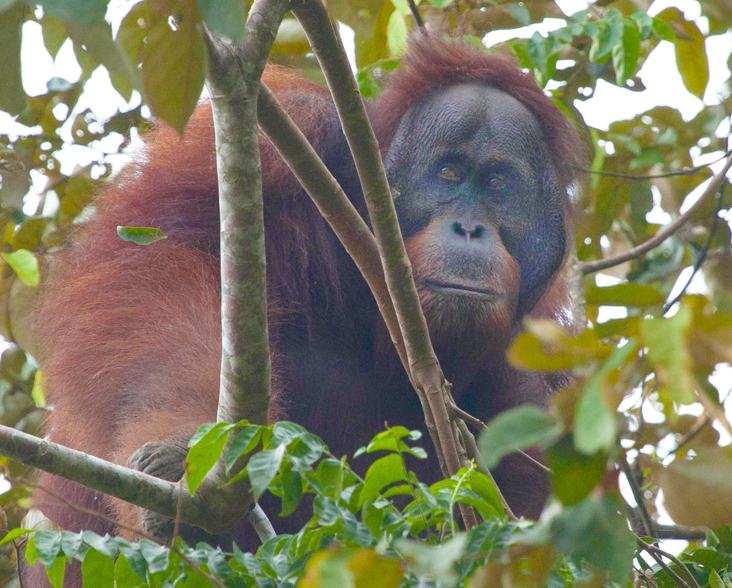 The development value of the land has cost the wildlife of Kinabatangan dearly, shrinking their ranges into small reserves, which become isolated islands of jungle, cutting off populations from each other. In an effort to protect these fragments of pristine forest, a collection of Virgin Jungle Reserves were placed under state protection in the 1940s. One of these was the Pangi Virgin Jungle Reserve, across the Kinabatangan River from the Keruak corridor. The location of the land purchased with WLT funding, on the edge of the Pangi Virgin Jungle Reserve, means that it will continue to act as a buffer to the ‘virgin jungle’. 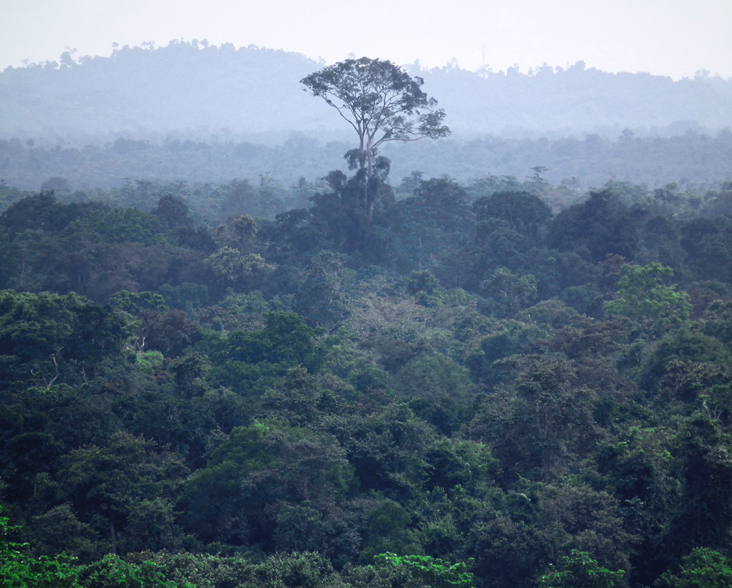 Also, like the Keruak Corridor, the properties purchased are pieces of secondary forest important for connectivity between Pangi Virgin Jungle Reserve and the river. In 2017, WLT launched the Saving Kinabatangan Appeal, championed by WLT Patron Steve Backshall and his wife Helen Glover’s Race for Borneo. The couple aimed to raise £100,000 through sponsorship for the ‘Canoeist’s Everest’, a 24-hour kayak race from Devizes to Westminster. The final total raised by the appeal was more than £300,000, which allowed five properties to be purchased to buffer the Pangi Virgin Jungle Reserve. The Kinabatangan River is known worldwide as one of the best locations to view Borneo’s unique and extremely rich wildlife, including Kinabatangan’s ten species of primate (including Bornean Orang-utan), or Borneo’s Endangered Pygmy Elephants, which can be spotted bathing in the river. The area boasts several carnivores such as the world’s smallest bear, the Malay Sun Bear (Helarctos malayanus), Clouded Leopard (Neofelis diardi), Leopard Cat (Felis bengalensis), Marbled Cat (Felis marmorata) and Flat-headed Cat (Felis planiceps). Among the many other mammals are threatened species like Otter-civet (Cynogale bennettii), Banteng (Bos javanicus), the Malayan Porcupine (Hsytrix brachyura) and the Critically Endangered Sunda Pangolin (Manis javanica). The area also harbours remarkable bat diversity, and the Pangi Virgin Jungle Reserve protects limestone caves which are home to Cave Swiftlets (Collocalia linchi), Endangered due to humans harvesting their nests for ‘Birds Nest Soup’. The birdlife of the Kinabatangan includes all eight of Borneo’s hornbills, 22 raptors and six owl species, with 314 species representing avifauna from shorebirds and waders to pheasants and forest specialists. The Kinabatangan reptile list comprises 101 species, including flying snakes, flying geckos, flying lizards, monitor lizards, vipers and cobras.